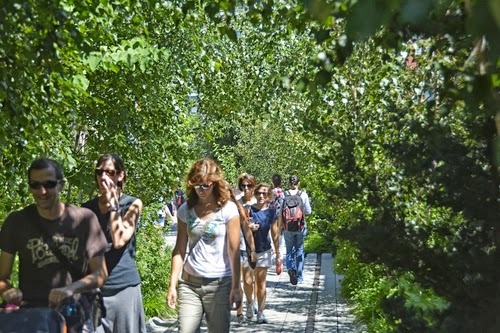 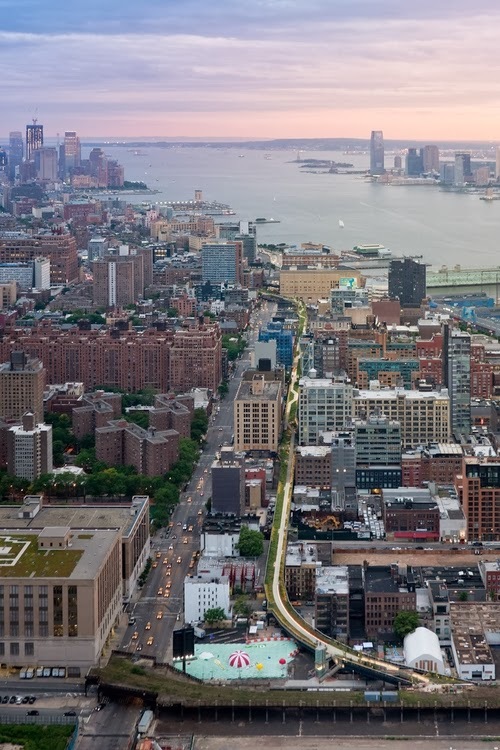 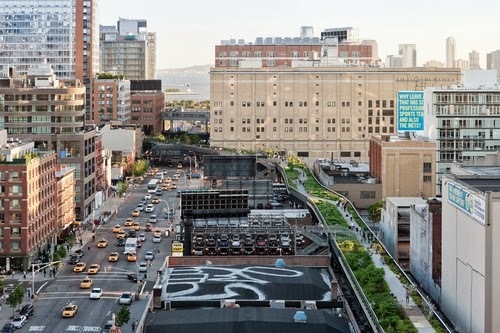 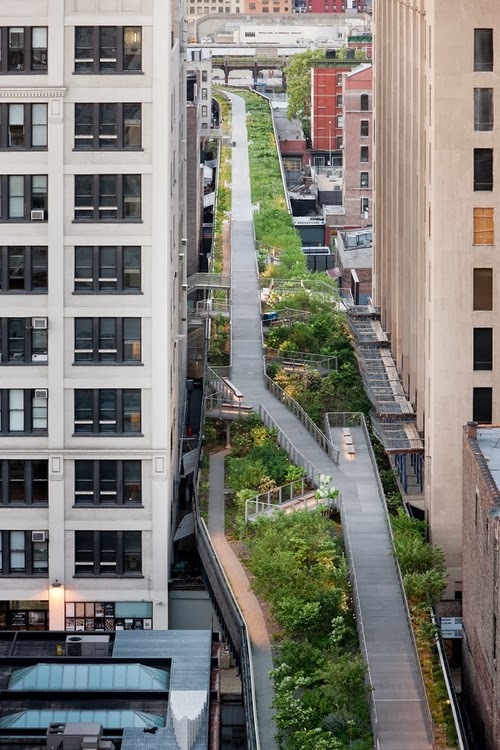 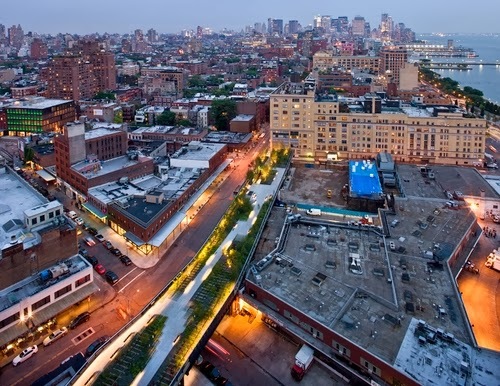 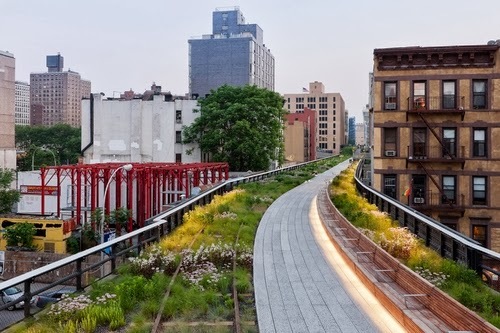 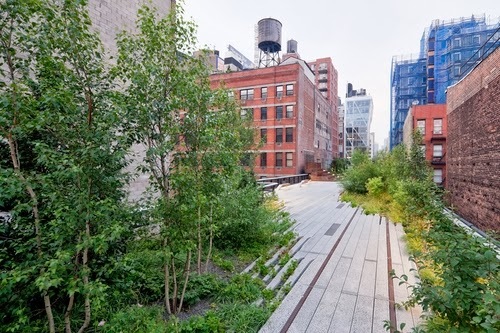 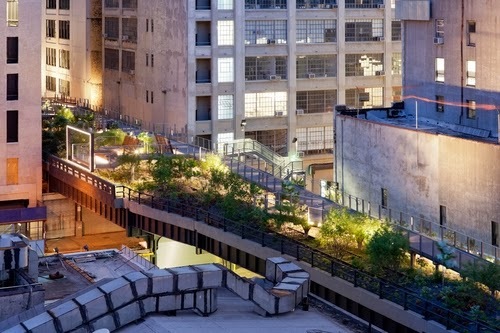 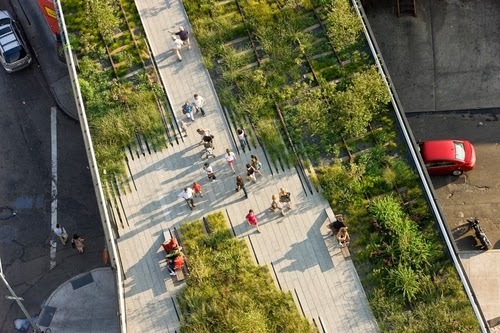 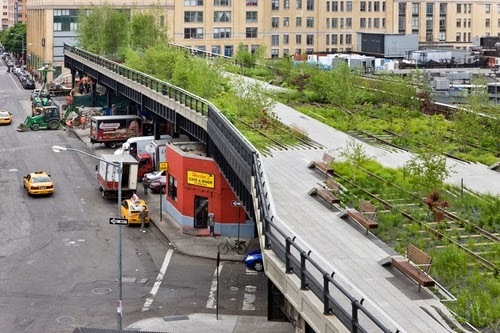 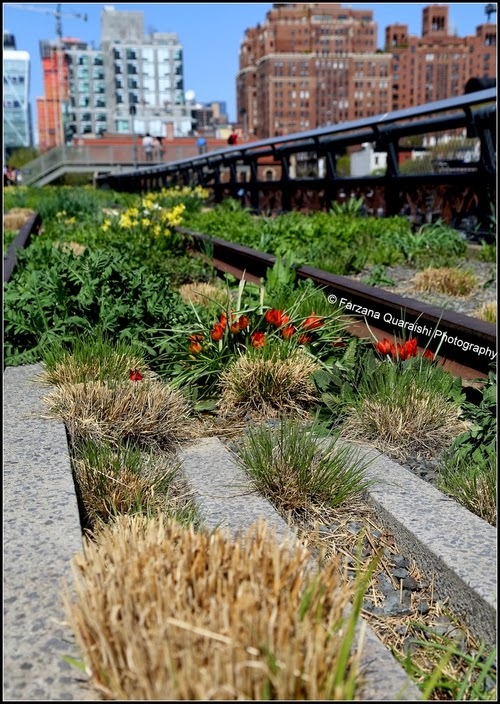 The High Line Park is situated in New York in the US, in my opinion a great feat of lateral thinking. 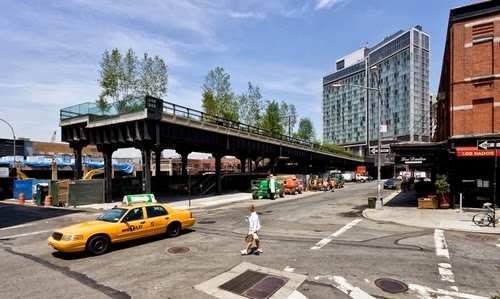 The City had an overground freight rail that was not being used any more. 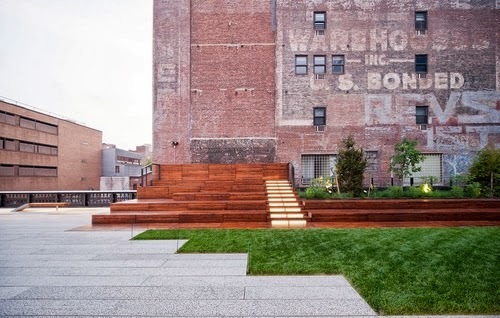 Instead of paying a lot of money to demolish it, they used the money to make an overground Park. 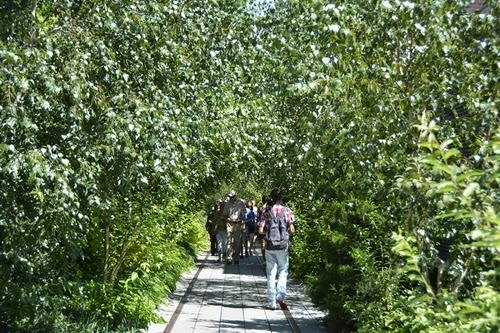 Private money is raised every year to pay for 90% of the maintenance of the bridge. 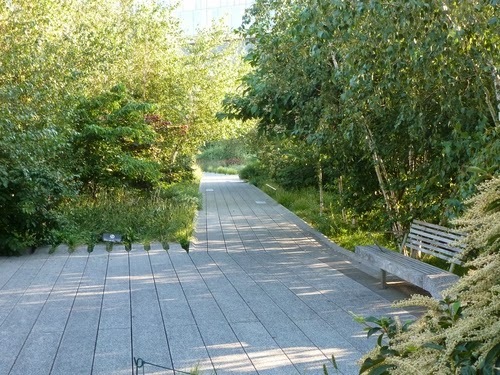 Here are some specs for you: the Park sits on a bridge that is 1.45 miles long (2.3Km) and 30 Feet (9.1m) off of the ground. 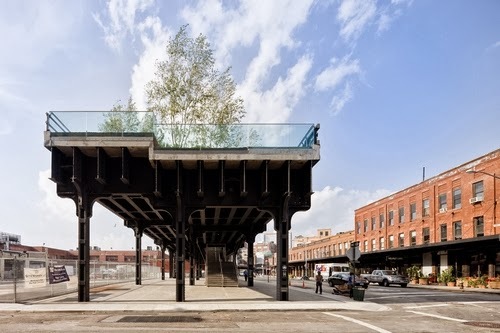 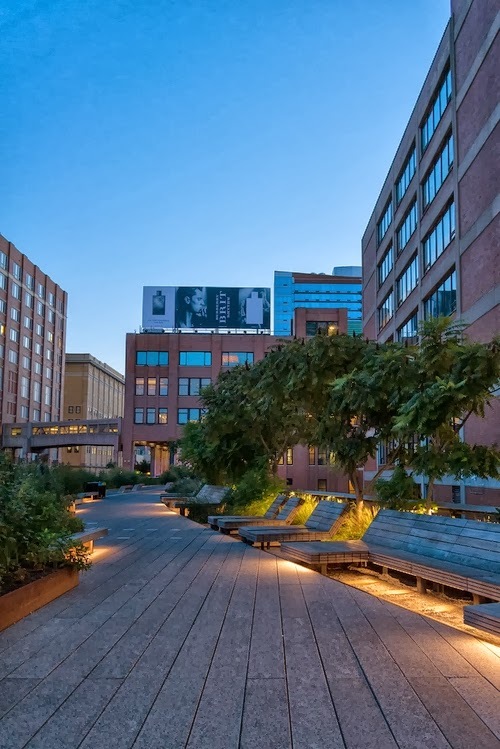 The Park is located in Manhattan's West Side, It runs from Gansevoort Street in the Meatpacking District to West 34th Street. 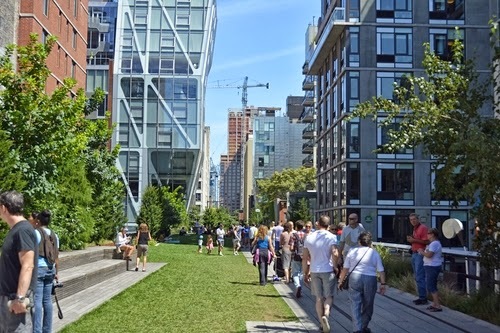 The Park has water fountains, public toilets and disable access. 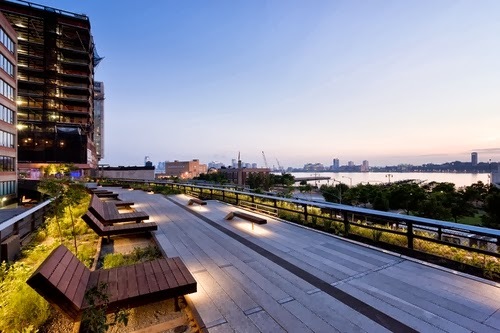 All sorts of public and private functions go on all year long, for more info go to High Line. 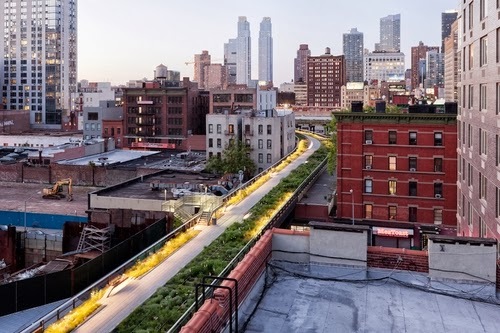 Great project. 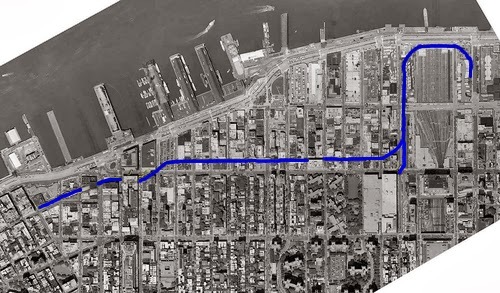 We have included images taken at different points of the line and 2 videos to give a more complete picture.